Did you know concrete has quite a few qualities that make it one of the most sustainable building materials around? Let’s take a look at a few things that make concrete as sustainable as they come. 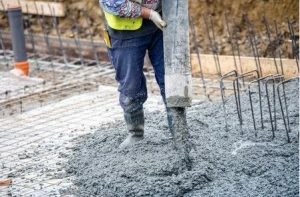 Unlike many other building materials, concrete will not rust, burn, or sustain other damage once you have used it during a construction project. Additionally, it will last extremely long and won’t need to be replaced as long as it’s installed properly. Because of this, you will use less building materials in the long run, which is ultimately good for the environment. It is made using one of the most abundant minerals in the world. There are several different materials mixed together to create concrete. Nevertheless, one of the most dominant materials in your average cement is limestone. This is important because limestone is widely regarded as the most abundant mineral on the entire planet. This means you won’t be wasting a more precious mineral by using it. Using limestone has very little effect on the planet in the grand scheme of things. It creates very little waste during construction. When you are building something out of concrete, you can mix together exactly what you need to finish the job. This will cut down on the waste created during a construction job significantly. You can also tear down concrete once you’re done using it and recycle it by turning it into an aggregate to be used in other construction jobs. This is just another reason why it’s so eco-friendly as a building material. R.G. Smith Company utilizes concrete for many of the jobs we do. From building foundations to paving, we choose concrete often and love how sustainable it is. Contact us today if you are in need of concrete for a large construction job.